President Sarkozy has different goals for his visits to Gabon and Rwanda, two countries in which France has had long-standing, but bumpy, ties. 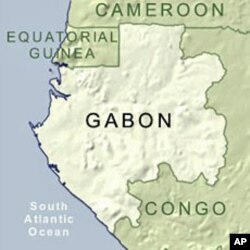 France's relationship to Gabon and to its deceased leader, Omar Bongo, have probably been its closest in sub-Saharan Africa. But Paris was accused of meddling in disputed Gabonese elections last year that saw Mr. Bongo's son Ali elected president. Sylvain Touati is coordinator for sub-Saharan Africa programs at the French Institute of International Relations in Paris. "I think that President Sarkozy waited a few months before showing his support for the new regime of Ali Bongo in a country where France has a lot of interest, a lot of presence," said Touati. Among other areas, Touati predicts President Sarkozy will announce France will maintain its military base in Gabon after saying last week it would pull out of Senegal. France also has oil and mineral interests at stake. 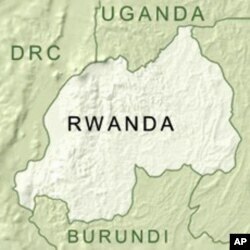 Much media attention will be focused on President Sarkozy's next stop, Rwanda. He will be the first French leader to visit Kigali since the 1994 Rwandan genocide. France and Rwanda broke off diplomatic relations for three years as they traded charges over responsibility for the massacre that killed about 800,000 people. Ties were restored last November. But Touati says it is too early to say France and Rwanda are turning the page. Rather, he says, there are strategic interests at stake. "It is really important for President Sarkozy to go to Rwanda because ... in this year he wants to organize a really important meeting about the situation in eastern Congo, a big conference on the Great Lakes region in general. So ... he really needed to get peace with Rwanda," he said. Mr. Sarkozy promised to establish a new relationship with Africa, to break from a past that critics said was based on cronyism and long-standing ties with despots. Analysts like Touati says this has not happened. He says growing competition on the continent from China and other nations has made France realize it needs its old bonds. "You have a lot of interest in Africa in general, and it is not the moment for France to cut all its network," said Touati. "True, some of this network have a bad reputation. They were involved in a lot of gray issues, a lot of corruption and stuff like that. But they were one of the tools for French influence in the region," he concluded. But Touati says France also needs to establish new ties with countries like Nigeria, where France does not have historic links. He also says Mr. Sarkozy has yet to outline a coherent French policy in Africa, one accounting for its diverse economic, military and political interests on the continent.